Recently, there have been some spy shots of Bugatti's upcoming hypercar, the Chiron floating around on the net but they did not reveal much. Now, we have a clearer view of how it looks all round. 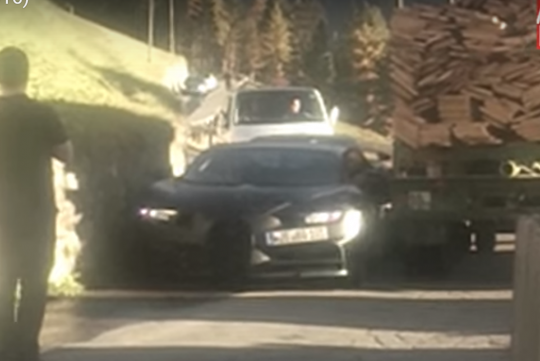 Uploaded by Germany's Auto Bild TV, the video showed a pair of Bugatti Chiron prototypes going through a small country road and were spotted by spy photographers after the second one was stuck trying to go past a lumber truck on the small road. Looking more evolutionary rather than revolutionary, the new hypercar is reported to output a staggering 1,500bhp via its quad-turbo W16 engine. It should be enough to allow Bugatti to keep the title of the fastest production car in the world with them for quite sometime.